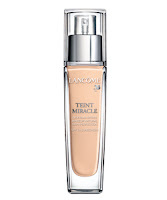 Lancôme Teint Miracle Foundation- NEW!! Now, aura is our science. Light emanates from the most beautiful skin. 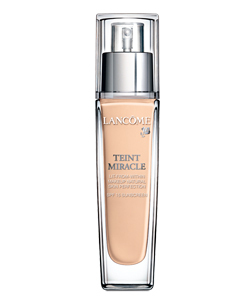 With Aura-Inside™ technology, Lancôme invents its 1st foundation that recreates the true natural light of perfect skin. Instantly, complexion appears lit-from-within. Bare sensation, visibly flawless. 18 hour hydration and soothing rose extract. Oil-free, Non-comedogenic, Suitable for sensitive skin. Dermatologist-Tested. Please indicate colour shade in your order!